Paula Hayes' legendary terraria have graced the galleries of some of the finest art institutions worldwide, elevating the craft of terrarium-making into a recognized art form. Her tempered and thoughtful arrangements have been the source of much discussion here at the F&M. Images of her work is now commemorated in a book, available at amazon. 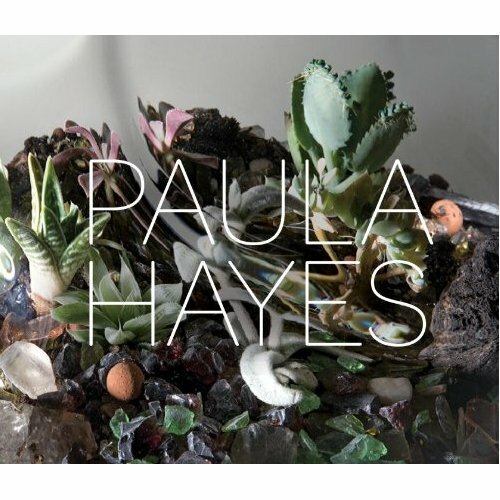 Artist Paula Hayes has participated in over 65 group exhibitions since 1990, and has been the subject of over 15 solo exhibitions at prestigious institutions and galleries such as the Museum of Contemporary Art in Los Angeles, the Marianne Boesky Gallery, Jeanne Greenburg-Rohatyn's Salon 94, and, most recently, the Museum of Modern Art in New York. She has received wide critical acclaim from prominent art publications such as Art in America, Artforum, Sculpture Magazine, the New Art Examiner, and from critics including Barry Schwabsky. Hayes lectures widely and believes strongly in sharing her knowledge with future generations of artists. She has been a visiting instructor at Skidmore College, the School of Visual Arts, the Cooper Union, the University of Wisconsin, Middlebury College, New York University, and the Cranbrook Academy of Art, among others. Hayes recently developed a line of Living Necklaces—air plants that can be worn as jewelry, which are sold at the Cooper-Hewitt National Design Museum. She designed new gardens for the W Hotel in South Beach, Florida, and launched a line of biomorphic-shaped tableware in May 2010.